Who’s Artist‘s pallet! OR Who’s in whose head? When was it any different? The mention of the ‘Archibald Prize’ presented yearly at the Art Gallery of NSW continues to attract controversy! 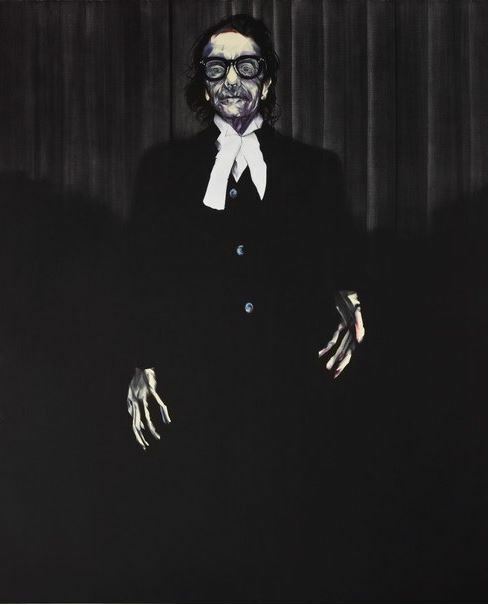 Much attention has been made about Nigel Milsom’s 2015 Archibald win; the subject being barrister Charles Waterstreet and the comparisons being made! Migel Milsom’s Judo house pt 6 (the white bird), 2015. 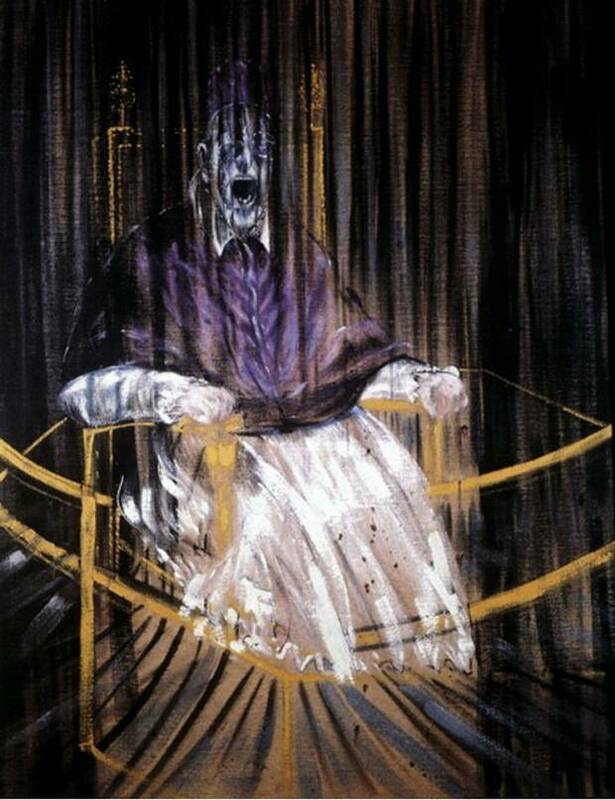 Francis Bacon’s ‘Study after Velazquez’s Portrait of Pope Innocent X’, 1953. 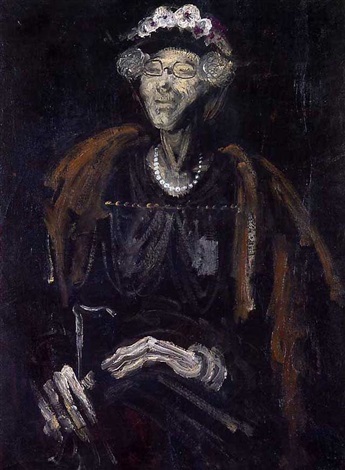 William Dobell’s, the portrait of ‘Dame Mary Gilmour’* with the emphasis on the hands perhaps. One of our other gallery followers ‘noted the hands over sized or exaggerated! The painting is in the permanent collection of the Art Gallery of NSW, Sydney. The painting I find the closest comparison to Milsom’s portrait is also by William Dobell, arguably our most famous portrait painter of the past century! ‘Miss Tatty’** pictured, an oil on canvas painting dated 1936, measuring 59.5 x 44 cms (27” x 24”)+ is in a private collection today however it is illustrated in several places notably in the William Dobell publication Page 25 of ‘The art of William Dobell’, edited by Sydney Ure Smith with an introduction by Brian Penton, published 1946. This painting or the reference to the one following was first sold and to Mr & Mrs Frank Packer, the newspaper tycoon, Kerry’s father, James grandfather! William Dobell’s Miss Tatty, 1936. Curiously another painting must exist if art records are to be believed. A painting was sold at auction*** for $88,000 at Sotheby’s Auctioneers in July 1986, with the same title, although it measured 68.5 x 61cms. More research time will need to be allocated to qualify if we have one or two paintings of the same! Depending where one sees the emphasis within Dobell’s expressiveness with ‘Miss Tatty’ I can‘t help but see the comparisons within the Charles Waterstreet composition, colour and depth of insight and so on. Conscious or sub conscious influences may have been intentional or otherwise, however they cannot be ignored! ← Want to be happier?